was the third of six children in a Catholic family. Her father Sylvio, also known as Tony, was a design engineer for Chrysler/General Dynamics. 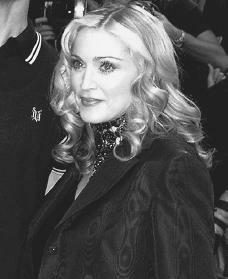 Madonna's mother was of French Canadian descent. She died of breast cancer when Madonna was five years old. Tony Ciccone moved the family to Pontiac, Michigan, and he married one of the women hired to care for the Ciccone household. The adjustment was difficult for Madonna as the eldest daughter. She had considered herself the "lady of the house" and had received much of her father's affection and attention.